One of the most exciting circumstances happening right now with EPIPHANY Inc. is the building of our EPIPHANY Village on our web platforms. You can read more about that here. One of our sponsors is the direct sales unit under uber entrepreneur and motivator Juanita Gaddy. When I met Juanita and found out that she started volunteering her time lecturing about how to attract wealth and a strong family (with faith first on the list), I knew she would be perfect for our #EConvo audience. So I have now launched a series of 10-minute web events where she can impart her knowledge to the masses. And our events our free! 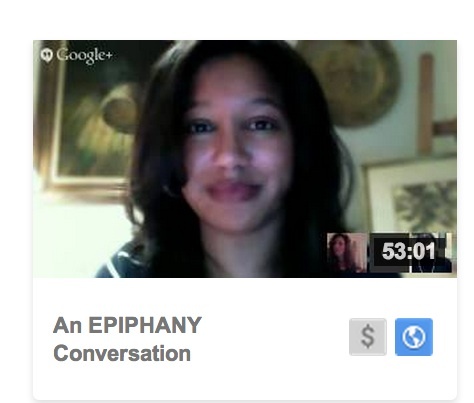 Our series is called "An EPIPHANY Conversation: Women's Financial Liberation." The subtitle: "Under-earning is a curse. Let's break it." Juanita and I will also be appearing in person as well. Stay tuned by joining our Event Page by clicking on this link. See you the web! And no more complaining about not being able to afford your dream!